Learn how to register on Salvagebid as an individual or as a company. Once registered, you can create a Watchlist and receive alerts when vehicles you’re interested in become available. 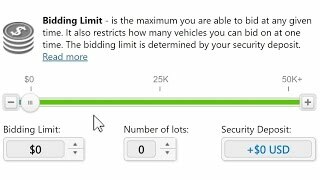 You can also begin bidding immediately after you’ve registered. Don’t worry, no dealer’s license is required. 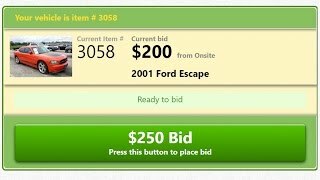 Learn how make sure your deposit is at the correct level to bid on the cars you want. 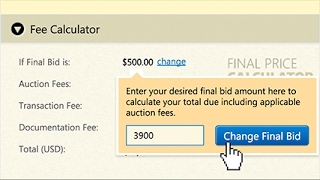 See how to place bids during the Preliminary Bidding and during exciting Live Auctions. 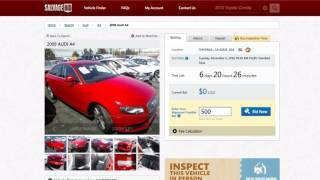 This video explains the detailed information contained in each listing. 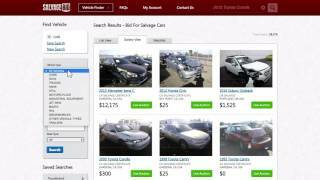 Learn to use multiple approaches when searching for a vehicle, and how to create a Watchlist. This video explains how to pay for the vehicle you won, and methods to pick it up from the yard.